By D.L. Davis on Monday, December 3rd, 2018 at 6:07 p.m. The November 2018 election means there will be a partisan changing of the guard in the Wisconsin governor’s office -- Republican Scott Walker out, Democrat Tony Evers in. The election results led to a changing of the minds among GOP leaders in the Legislature, where Republicans will continue to hold power in the new term. Republican leaders are moving quickly to undo some of the powers they granted the governor after the 2010 election, when Walker won and the GOP gained full control of the Legislature. The package was formally introduced late on Nov. 30, a Friday. The committee vote was scheduled for Monday, Dec. 3. The Senate and Assembly could vote as early as Tuesday, Dec. 4, sending the matters to Walker for his signature. The discussion of possible changes began a single day after Walker lost his bid for a third term. Assembly Speaker Robin Vos, R-Rochester, said he would discuss whether to look at limiting Evers' power with Senate Majority Leader Scott Fitzgerald, R-Juneau. 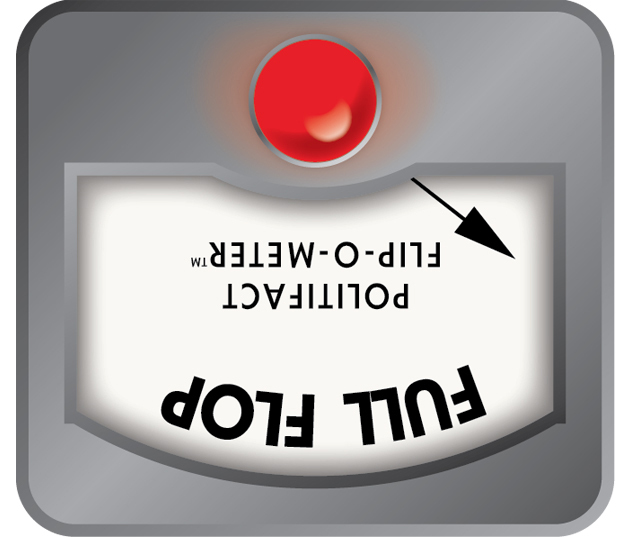 That prompted us to dust off the Flip-O-Meter, which we use to examine views on particular issues. Requisite footnote: We’re not rating whether any change is good politics or good policy. Just whether the individual -- or in the case, the GOP leadership -- has been consistent. There were a host of changes made after the 2010 election that vested more power in the governor’s office. Some were arcane and procedural, but had a major impact. It gave the governor new powers to approve or prevent the adoption of administrative rules. Previously, the rules were written by state agencies and reviewed by the Legislature before they could take effect. Administrative rules include more specifics than state statutes and carry the force of law. The bill was introduced by the Joint Committee on Organization at the request of Walker and former state Rep. Thomas Tiffany, R-Hazelhurst. Tiffany is now in the Senate. "Now, when a rule comes out of an agency, the Governor must approve the rule," Tiffany said in a March 3, 2011, e-newsletter. "We are making the Governor take responsibility for his agencies." Now, following the defeat of Walker in the Nov. 6 election, Republicans have proposed legislation that would reverse the 2011 law. The change is one of many included in the package of legislation Republican lawmakers have laid out for the so-called "lame-duck" session. Several others would limit the power of Evers and Josh Kaul, the Democrat who defeated Republican Attorney General Brad Schimel. One provision could allow Republican lawmakers to prevent the state from getting out of a lawsuit challenging the Affordable Care Act, or Obamacare, something Evers has promised to do. Another provision would require Evers to get permission from lawmakers to ban guns in the state Capitol or make other changes to security provisions there — including increasing the number of police officers who patrol the statehouse. The administration would also be required to report if the governor pardons anyone or his aides release anyone from prison early. The legislation would also restrict Evers' power over rules used to implement state laws and limit his flexibility in how he runs many public benefits programs. Their plan would provide more legislative authority over state agencies. And it would require Evers to go along with a plan aimed at reducing premiums for insurance plans offered through the Affordable Care Act’s marketplaces for individuals. "I view this as a repudiation of the last election. I will take any steps possible to assure the people of Wisconsin that I will not invalidate those votes," Evers told the Milwaukee Journal Sentinel in an interview. Republican legislative leaders say the plan will re-balance power between the legislative and executive branches. GOP leaders also said the plan prevents Evers from undoing laws passed under Republican control. "Maybe we made some mistakes giving too much power to Gov. Walker and I'd be open to looking at that to see if there are areas we should change that," Vos told reporters a day after the general election. "The manufactured outrage by the Democrats right now is hilarious," Fitzgerald told WISN's conservative radio host Jay Weber in a Dec. 3 interview. "I mean, most of these items are things (that) we never really had to kind of address because guess what — we trusted Scott Walker and the administration to be able to manage the back and forth with the Legislature. "We don’t trust Tony Evers right now in a lot of these areas." In this case, the change of position is clear. In 2011, the Legislature moved to give the governor more authority. In 2018, they are doing the reverse. Republican leaders are moving quickly to undo some of the powers they granted the governor after the 2010 election, when Scott Walker won and the GOP gained full control of the Legislature. Published: Monday, December 3rd, 2018 at 6:07 p.m.
PolitiFact Wisconsin "State Rep. Hintz hits the target with claim against Republicans seeking to add an election," Nov. 28, 2018. 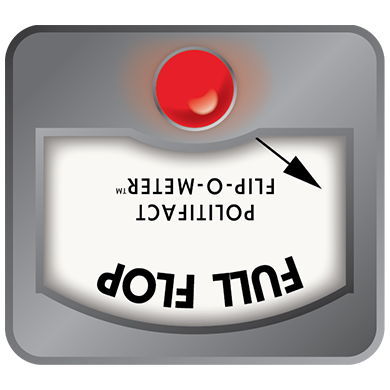 PolitiFact "The Principles of the Truth-O-Meter: PolitiFact’s methodology for independent fact-checking," Feb. 12, 2018. Milwaukee Journal Sentinel "GOP Assembly Speaker Robin Vos threatens to take power away from Tony Evers before January," Nov. 7, 2018. Milwaukee Journal Sentinel "Conflicts thwart reforms in state water policy,"Sept. 8, 2016. Rep. Thomas Tiffany "SPECIAL SESSION ASSEMBLY BILL 8" March 3, 2011. Milwaukee Journal Sentinel,"Tony Evers says he will ‘take any steps possible’ to prevent GOP plan to take away his power,’" Dec. 2, 2018. Milwaukee Journal Sentinel, "Five Wisconsin senators are in the spotlight as opponents try to stop a bill to curb governor’s power," Dec. 3, 2018. Milwaukee Journal Sentinel "GOP Senate leader Scott Fitzgerald: 'We don’t trust Tony Evers right now'" Dec. 3. 2018.